Twelve athletes departed yesterday to take part in the 2018 Melanesian Regional Championships in Port Vila, Vanuatu. The three-day tournament begins tomorrow and ends on Friday. The squad comprised Marika Cabenagauna, Jim Colasau, Livai Maravou, Errol Qaqa, Meli Senokonoko, Malasebe Tuvusa, Salote Baravilala, Serenia Ragatu, Fane Sauvakacolo, Louisa Tubailagi, Vilorina Tuilawaki and Heleina Young. 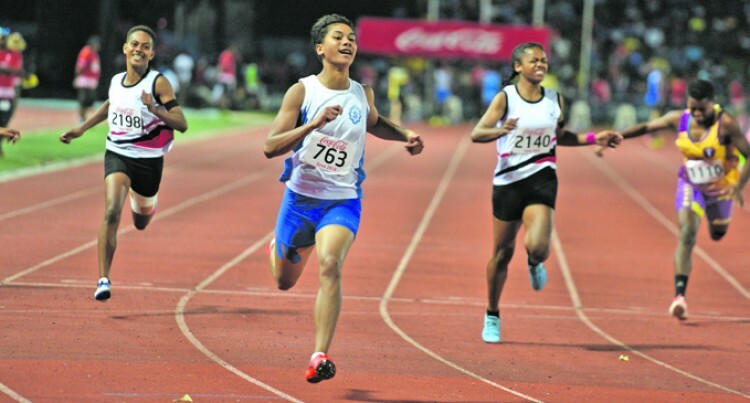 Shop N Save Athletics Fiji President Joseph Rodan Senior said this was the last chance for athletes to qualify for the Youth Olympics in Argentina late this year. Rodan added the athletes are also part of the development squad and participating in the event will be a good exposure for them. “We are trying to expose our secondary schools athletes who competed in the Coca- Cola Games to regional competitions,” Rodan said. “Most of these athletes are below 20 years and this is their last chance to qualify for the Youth Olympics. Rodan is hopeful the team will achieve qualifying times in Port Vila.